McAfee, now a division of Intel Security, reported recently that the price for an individual medical record ranges from a fraction of a cent to $2.50, while a so-called “fullz” record – name, Social Security number plus financial account information from a credit or debit card can fetch $14 to $25. But, other experts say medical records have enormous value, for a variety of reasons – mostly financial but sometimes political or personal – and retains its value for a long time. Dan Berger, president of Redspin, agreed. He said he thinks the lower prices for health data are only for what he called, “the ‘quick-flip’ scenario. “For more elaborate schemes, a healthcare record is likely to contain a much deeper set of demographics that can be used for identity theft and fraud,” he said. A healthcare record is likely to contain a much deeper set of demographics that can be used for identity theft and fraud. And the Identity Theft Resource Center (ITRC), in a recent blog post, said the low prices are simply a matter of supply and demand. 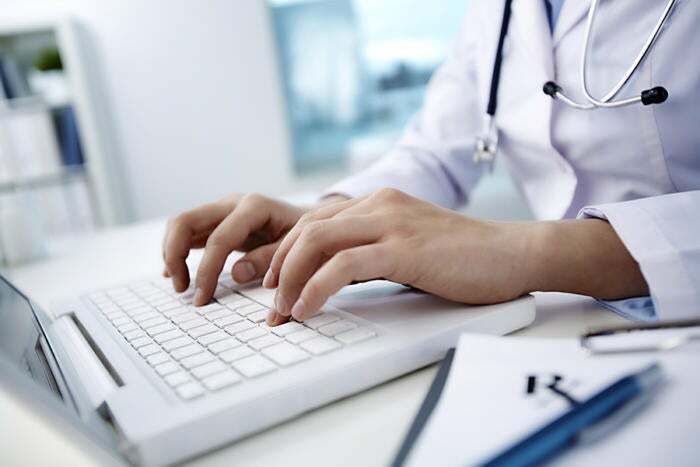 “There is such an abundance of stolen medical information available on the Dark Web that the value of these complete records has been slashed to less than half of what they used to be worth,” the ITRC said. Then there is the reality that much medical information – employment information, Social Security numbers, medical history, family members, physical descriptors – can’t be changed like a credit card account number. It is persistent, which means it is likely to retain its value for years, if not decades. And one more thing: It is relatively easy to get. Healthcare organizations do pretty well at keeping their “customers” safe under their care. Unfortunately, they are not so good at keeping those customers’ personal data safe. That weakness, widely known in the cyber criminal world, is one of the reasons healthcare organizations are such an attractive, and common, target, as multiple organizations have reported. IBM called 2015 "the year of the health care breach," in its 2016 Cyber Security Intelligence Index. The ITRC and IDT911 reported in April that while the medical sector ranked second to business in the percentage of breaches reported – 35.4 percent to 40 percent – it was far into first place for the number of records compromised – at more than 113 million, or 66.7% of the total. David Finn, health IT officer at Symantec, said his firm’s Internet Security Threat Report for 2015 had similar findings – 39 percent of all breaches in 2015 were within health services. “Based on what we have seen on public notifications so far, we would, unfortunately, expect this trend to carry forward in 2016,” he said. Based on what we have seen … we would, unfortunately, expect this trend to carry forward in 2016. Actually, according to ITRC, things have improved this year. As of mid-December, while the raw number of breaches increased, the number of medical records exposed dropped dramatically, to about 15.4 million. That is in significant measure because none of the breaches reported has come even close to the scale of several in 2105, including Anthem (78.8 million), Premera BlueCross (11 million), and Excellus BlueCross BlueShield (10 million). Those three accounted for nearly 90 percent of the total records compromised last year. This is not likely to change soon. The reasons why healthcare data remains so accessible to cyber criminals are easily explained but difficult to address. Security is a board-level, business issue; yet in most healthcare organizations it is delegated to a team or individual without direct audience to the CEO or board. Scott sees the same conflict. He said the problem is a combination of, “a lack of cybersecurity, a lack of cyber-hygiene, and the value and utility of the data. Many medical professionals ignore basic cybersecurity precautions like encryption because it slows down their patient response time or because their resources are dedicated elsewhere. “Healthcare entities also have a high number of nurses, doctors, and other users physically or remotely accessing sensitive data and systems, which inevitably leads to poor security and in some cases, insider threat,” he said. Finn said another problem is how quickly the industry adopted Electronic Health Records (EHR), from less than 10 percent in 2009 to 97 percent in 2014. “Unfortunately, that rush of implementation left security behind,” he said. Another problem: Even though annual national health care spending is a staggering $3.35 trillion, many organizations are using badly outdated equipment. According to McAfee, some medical workers are using systems with Windows 95. Microsoft discontinued support for that OS in 2001 – several lifetimes in the world of technology. Harrington attributes that to security not being an investment priority, in part because, “there is insufficient executive buy-in and understanding of the security mission. Security is a board level, business issue; yet in most healthcare organizations it is delegated to a team or individual without direct audience to the CEO or board,” he said. Wirth said that reality is complicated by interdependencies. In many cases, “a system upgrade would require a number of other costly software and hardware updates,” he said. “A lot of medical systems and software are very specialized and are upgraded infrequently, especially medical devices, which have a long development cycle and a long, useful life in the hospital. - Build security in: This will not happen quickly, but healthcare organizations need to start demanding that vendors of medical devices, “incorporate security-by-design throughout the development lifecycle,” Scott said. - Stay up to date with patches of hardware, software and operating systems.